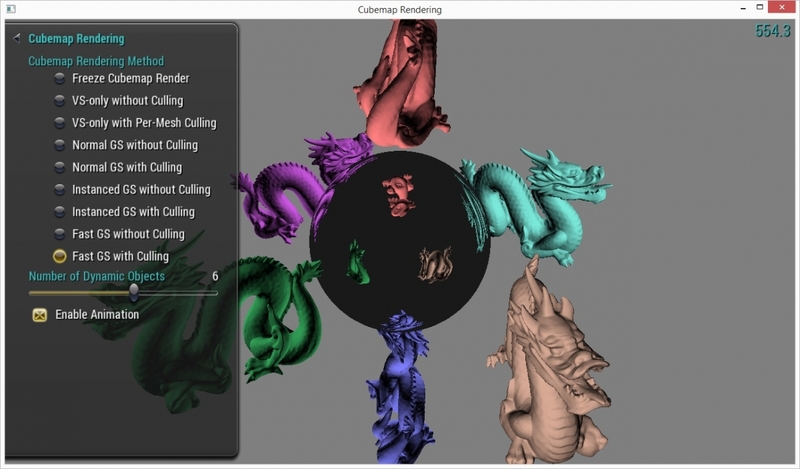 The NVIDIA GameWorks™ Graphics samples are a comprehensive set of OpenGL, OpenGL ES and Vulkan samples that programmers of all levels can use to better understand modern 3D graphics techniques and enhance games, simulations and other 3D projects. 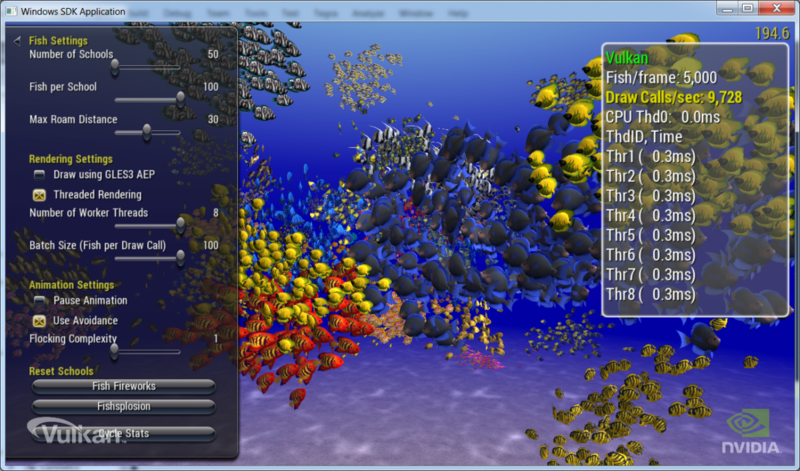 The samples are built on a common framework providing developers with samples that run on Windows, Android and Linux. 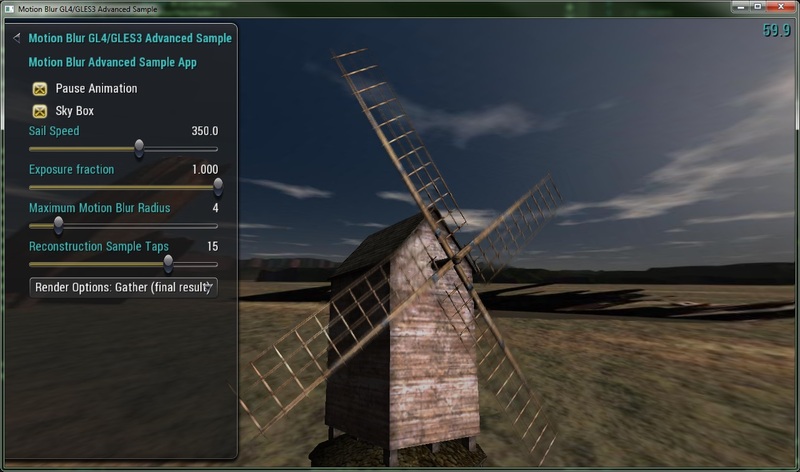 The framework provides base functionality but does NOT abstract the core graphics APIs so developers can see the exact details of the implementation. 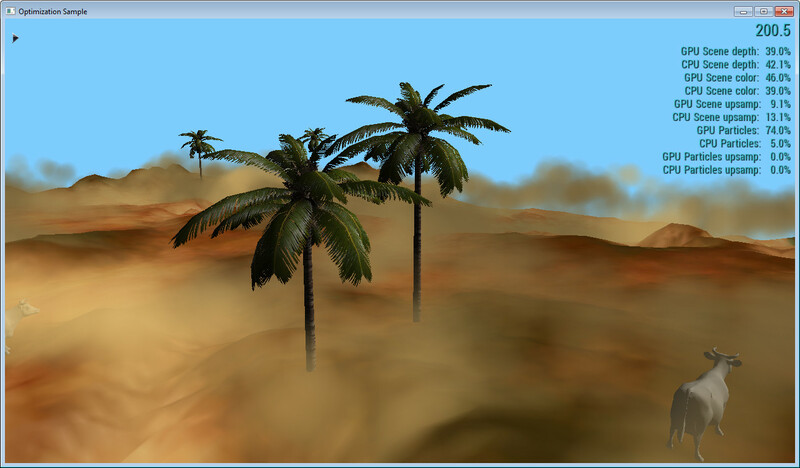 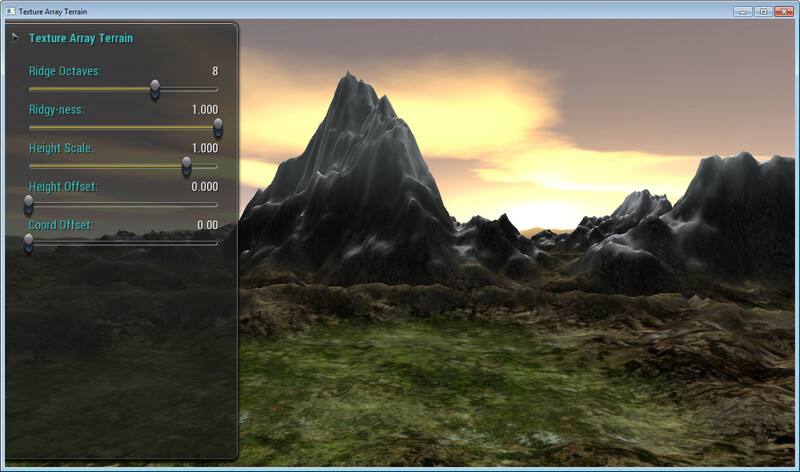 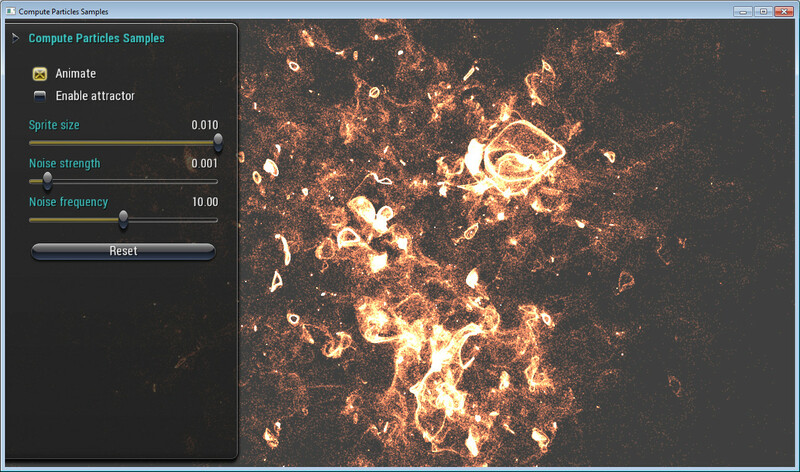 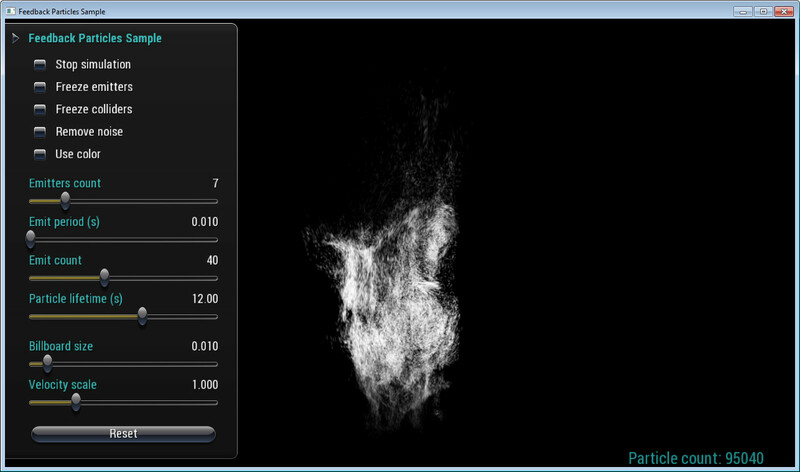 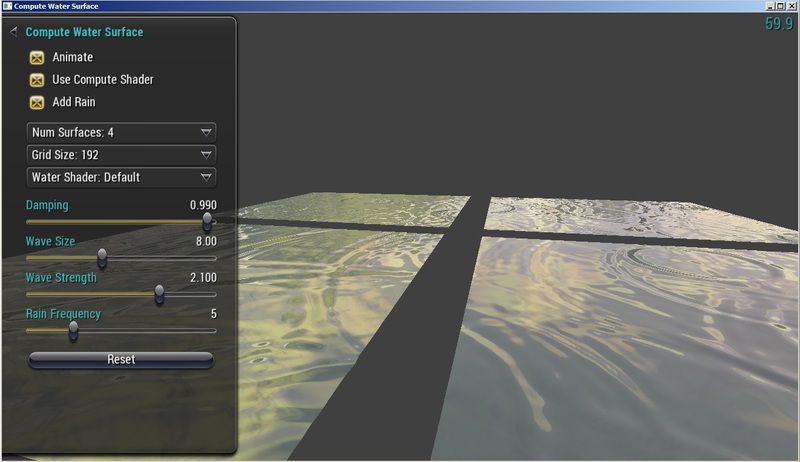 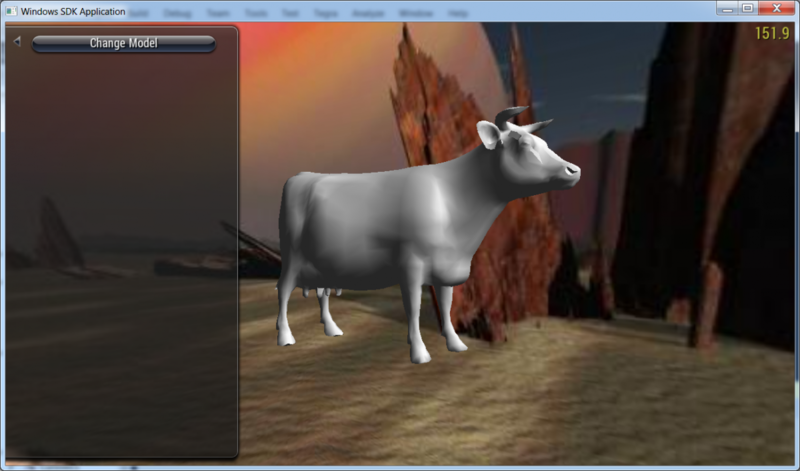 NVIDIA also provides a set of DirectX samples for developers targeting that API which are available here. 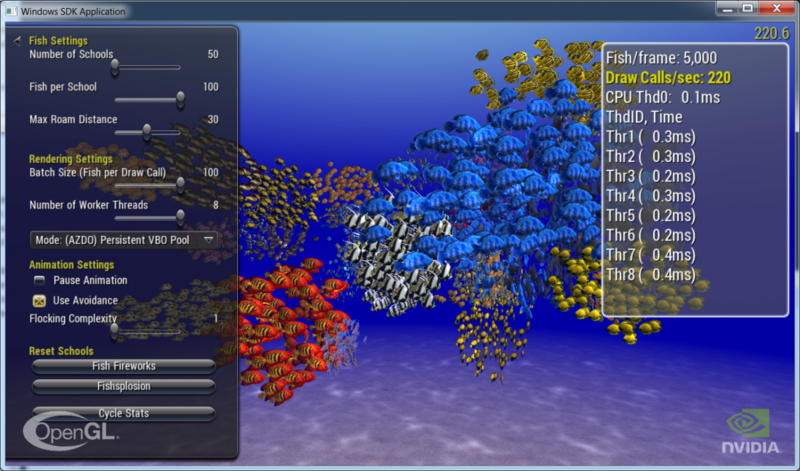 Vulkan support on Windows, Android, Linux for desktop x86_64 and Linux for Tegra available NOW! 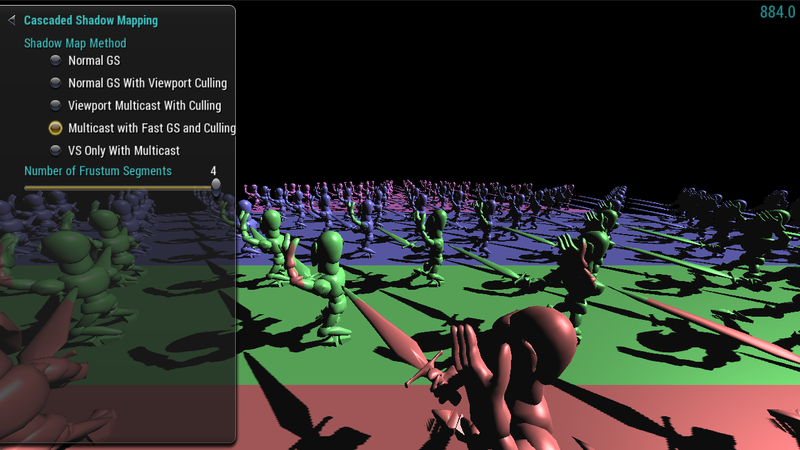 This sample demonstrates how to render enormous amounts of geometry by generating not only animation data but even command buffers in multiple threads using Vulkan. 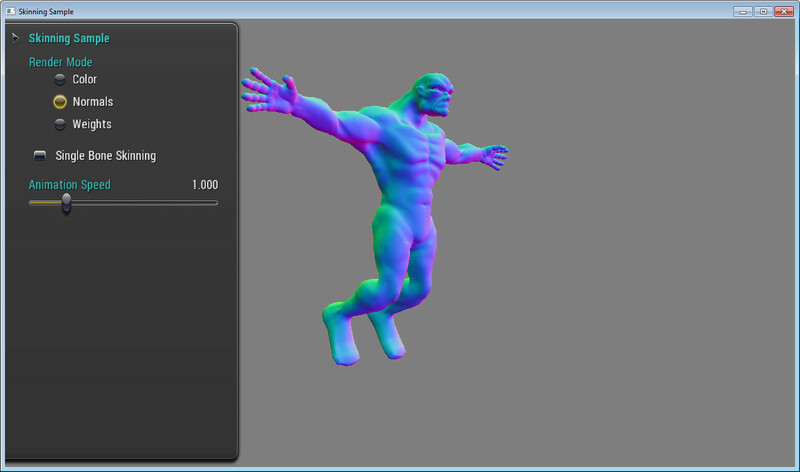 This sample demonstrates how to render skinned meshes in Vulkan using both one or two bones in a vertex shader. 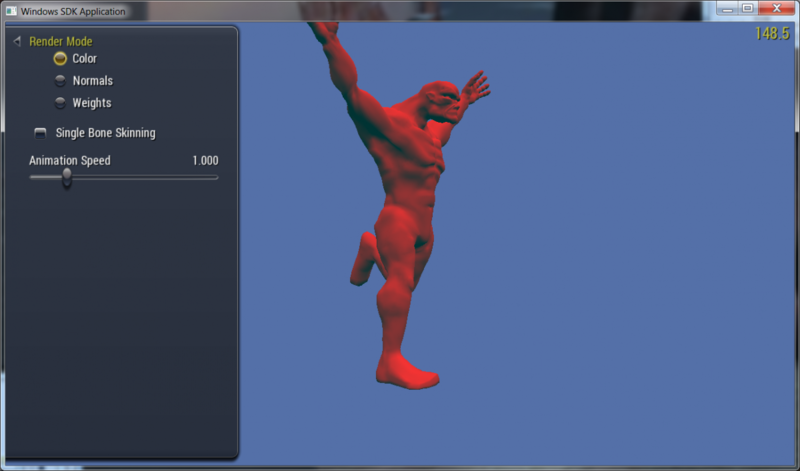 Skinning allows organic shapes (such as humans) to deform nicely around joints as they bend. 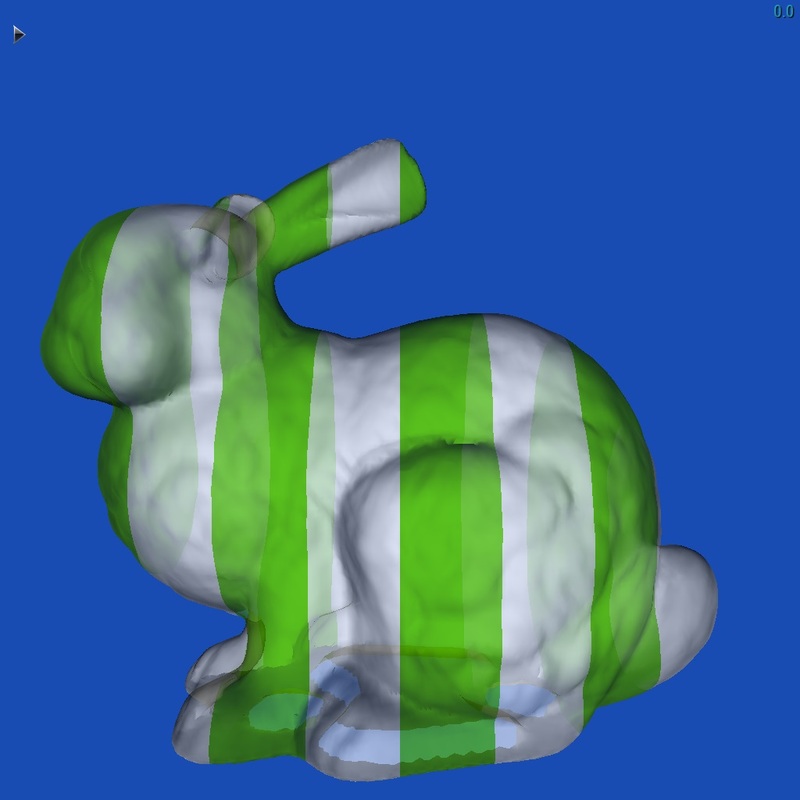 Without skinning, joints have a rigid appearance that is more similar to a mechanical joint like you would see in a robot. 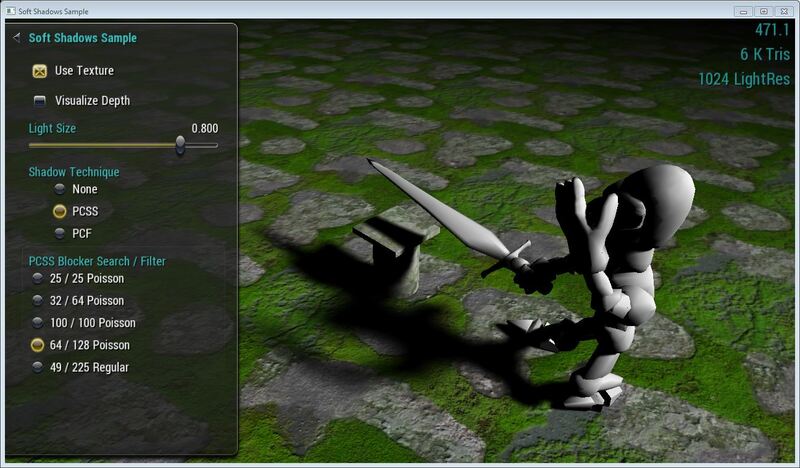 This sample demonstrates how to render rigid models using Vulkan, including transforms and materials. 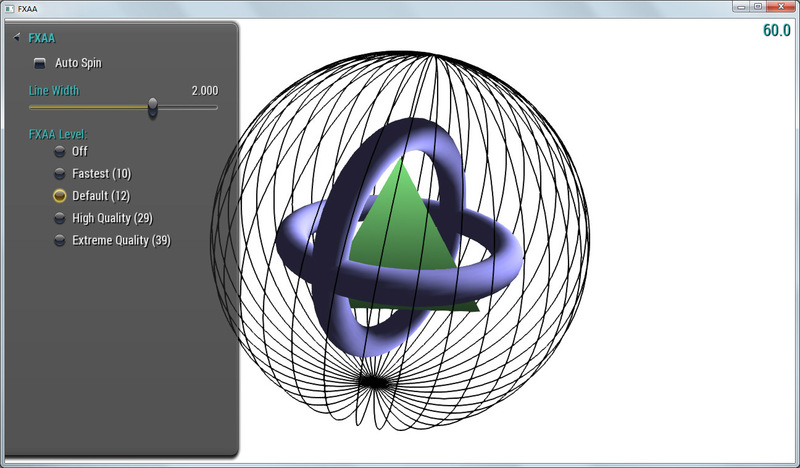 This sample demonstrates how to use threading to render huge numbers of objects and geometry efficiently in OpenGL using different approaches including Approaching Zero Driver Overhead (AZDO) techniques. 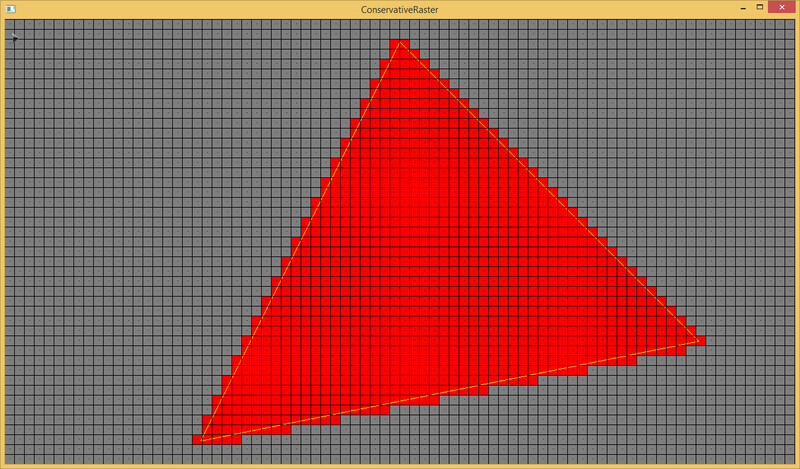 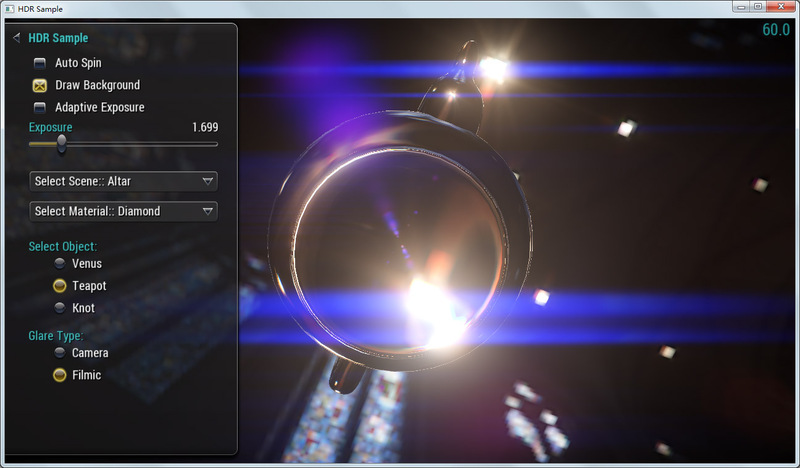 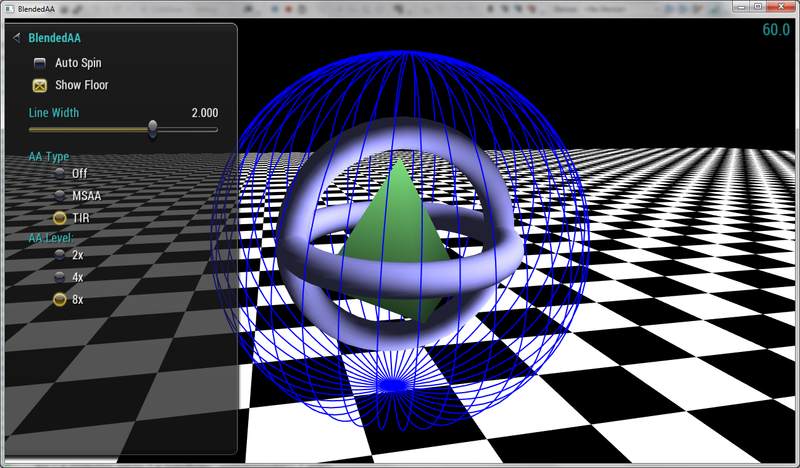 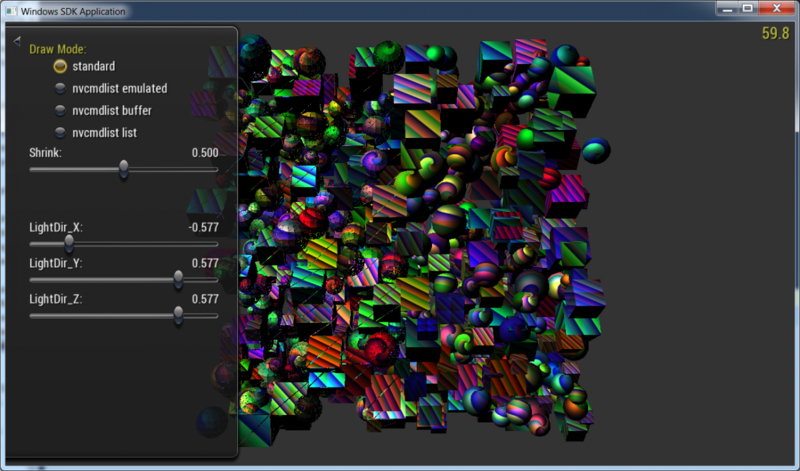 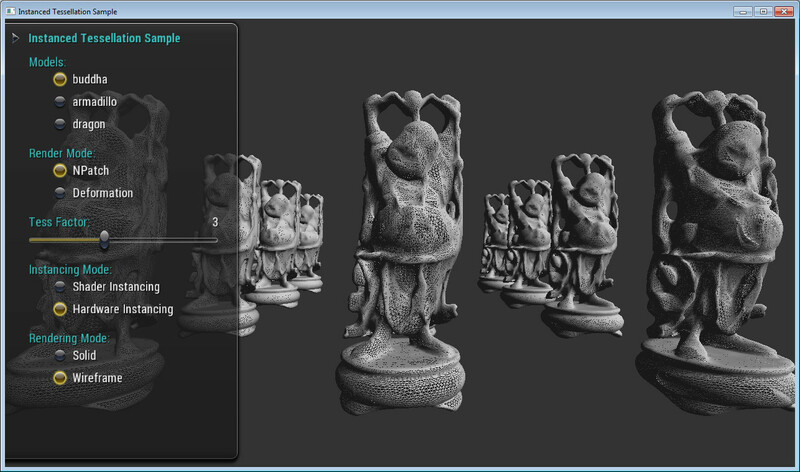 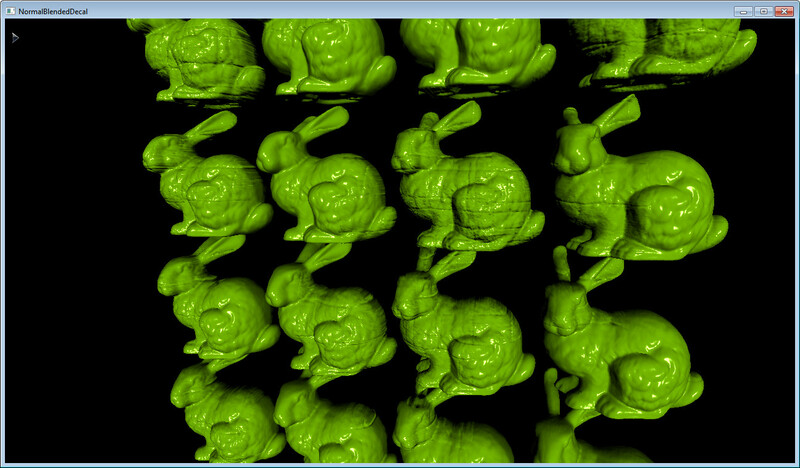 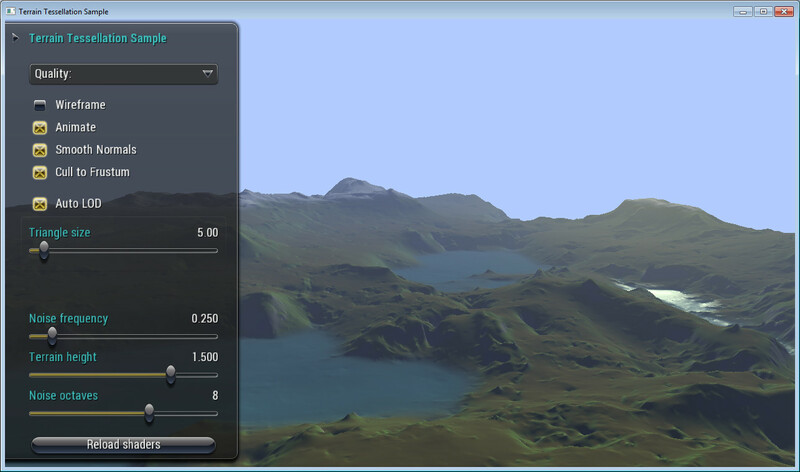 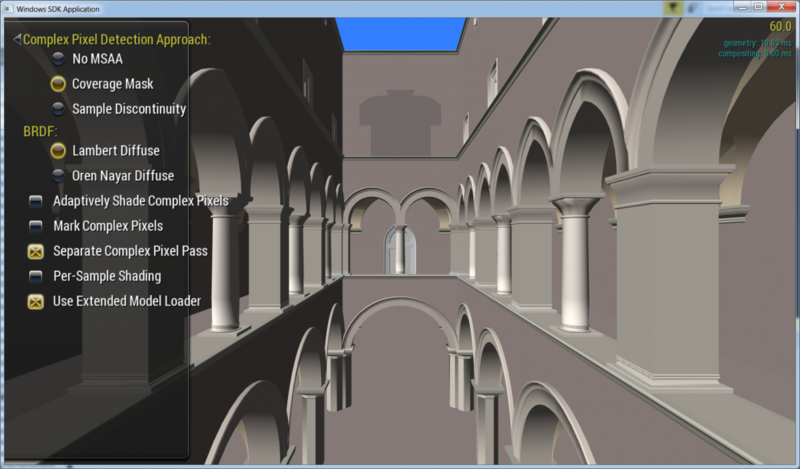 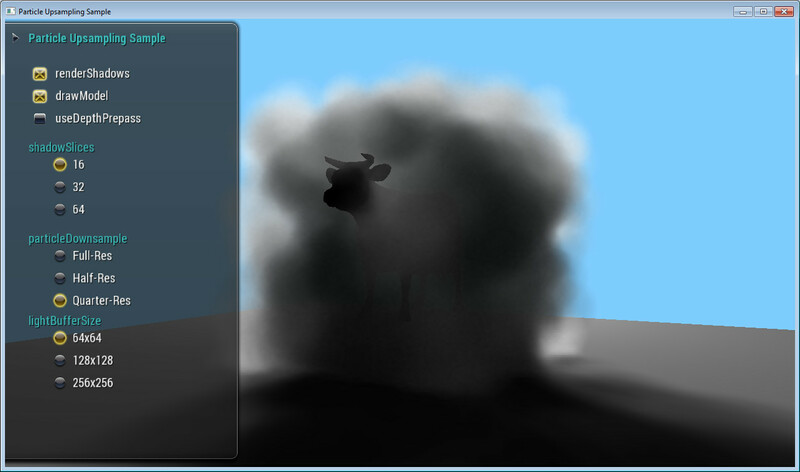 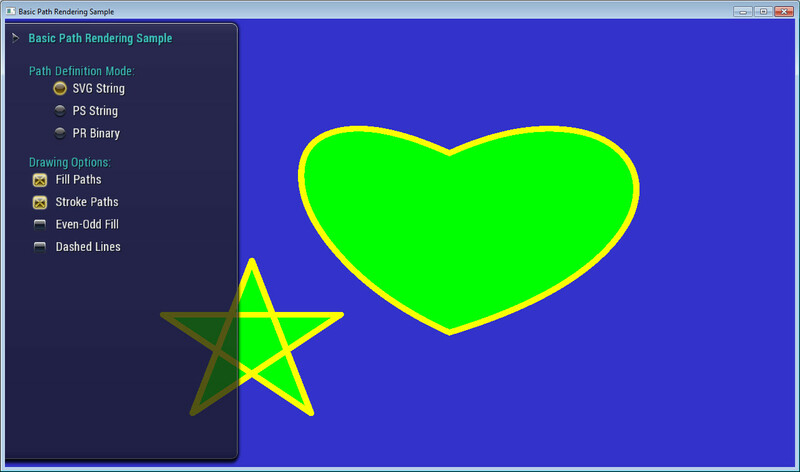 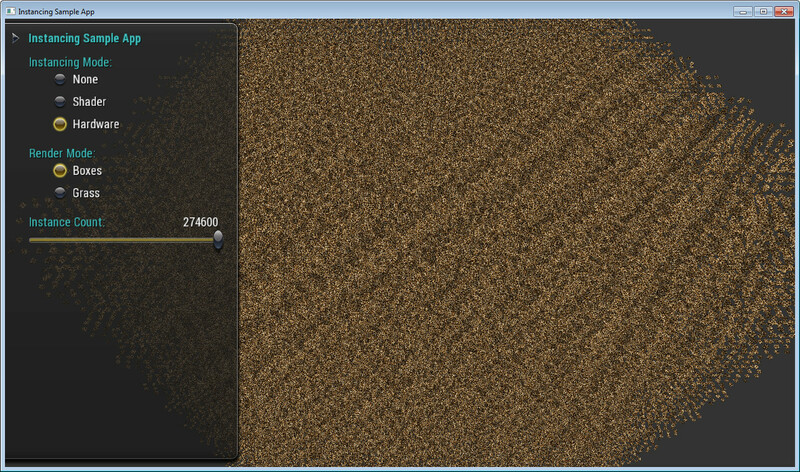 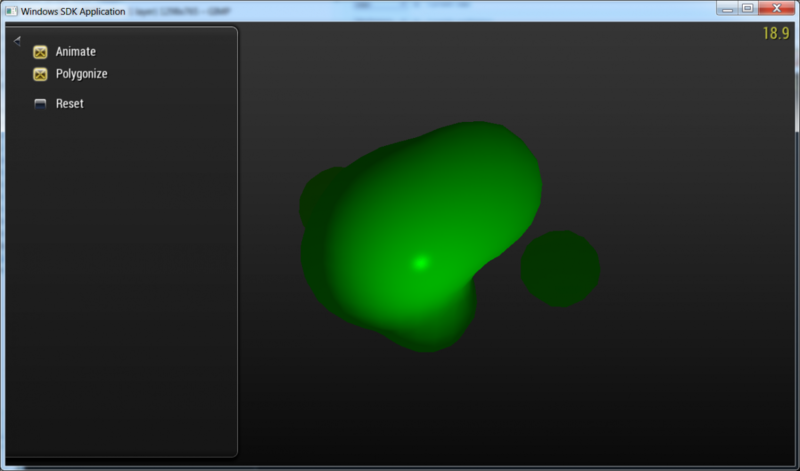 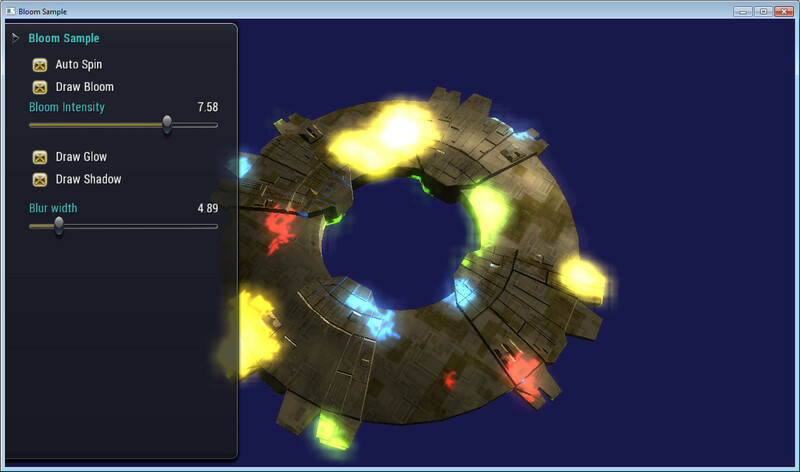 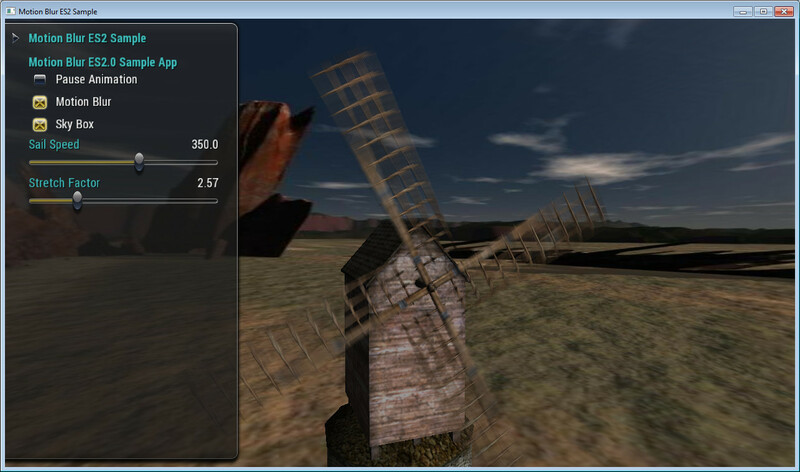 This sample demonstrates the large performance increase in OpenGL that is made possible by 'Bindless Graphics'. 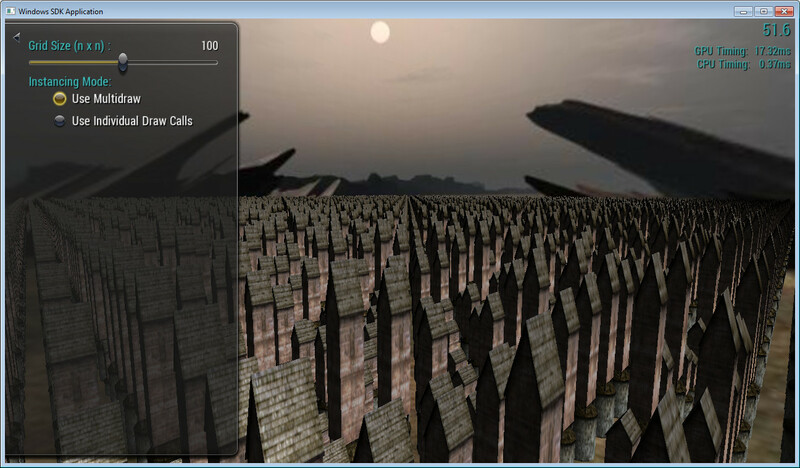 These extensions allow applications to draw large numbers of objects with only a few setup calls, rather than a few calls per object, thus reducing the driver overhead necessary to render highly populated scenery. 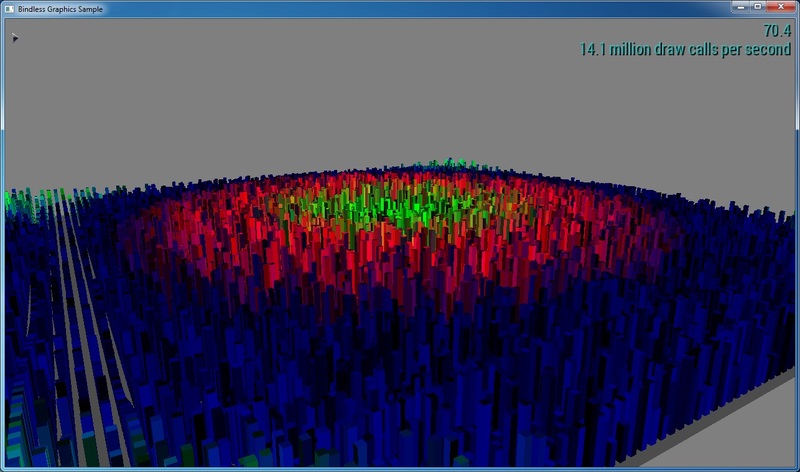 This sample implements a two-pass additive blending anti-aliasing technique using Target-Independent Rasterization (TIR), which should give comparable results to MSAA with a reduced memory footprint.